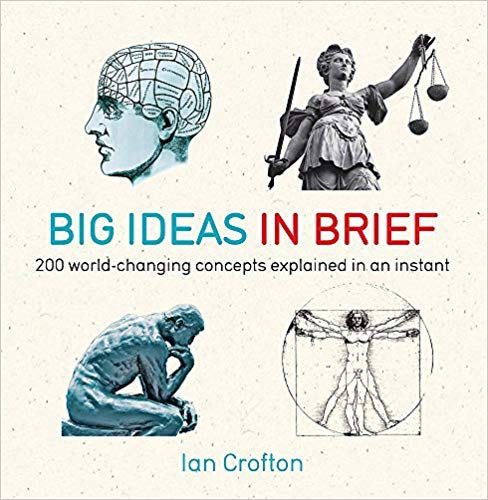 Big Ideas in Brief provides an accessible and easily understood tour of 200 key concepts that really matter. The ideas covered come from a wide range of subjects – Philosophy, Religion, Science, Politics, Economics, Sociology, Anthropology, Psychology and the Arts. A series of short and lively articles accompanied by 100 illustrations, introduce a host of diverse topics, from Existentialism to Expressionism, from Consciousness to Constitutionalism, from Feminism to Free Trade, from Class to Cognitive Theory, from Reincarnation to Relativity – all explained simply and clearly. Incredibly quick – clear artworks and simple explanations that can be easily remembered. Based on scientific research that the brain best absorbs information visually. Compact and portable format – the ideal, handy reference.